First half strikes from Sadio Mane and Philippe Coutinho ensured Liverpool brushed aside West Brom at Anfield, despite a late consolation goal from Gareth McAuley making the Reds work for the win. With both Tottenham and Arsenal dropping points earlier in the day, the Reds knew a two-goal margin of victory would ensure top spot . The return of Adam Lallana to the starting lineup gave the home side a much needed boost after their forgettable draw against Manchester United on Monday night, and the Englishman was heavily involved from the kick off as Liverpool went out in search of a sixth win of the season. 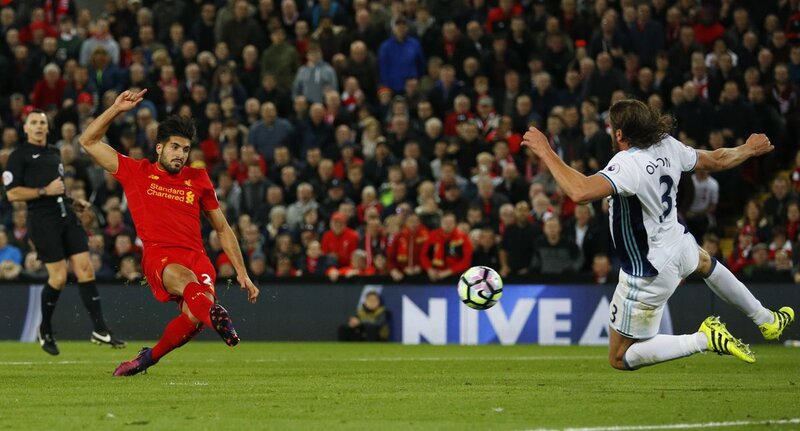 The midfielder showed nimble footwork to evade two players and get the ball to Coutinho, but West Brom recovered their bearings to get bodies in the way to block the Brazilian's effort. West Brom kept up their stubborn approach, happy to let Liverpool have the ball in the middle and defensive thirds, but not letting them get a sniff of fresh air around the 18-yard area. Eventually though, the hosts were able to break down the visitors, as a sublime attack was carved out by Liverpool's attacking stars. Coutinho's bamboozling dummy started the move off, and Lallana released Firmino down the left, who curled a beautiful cross towards the back post for Sadio Mane to slot home. 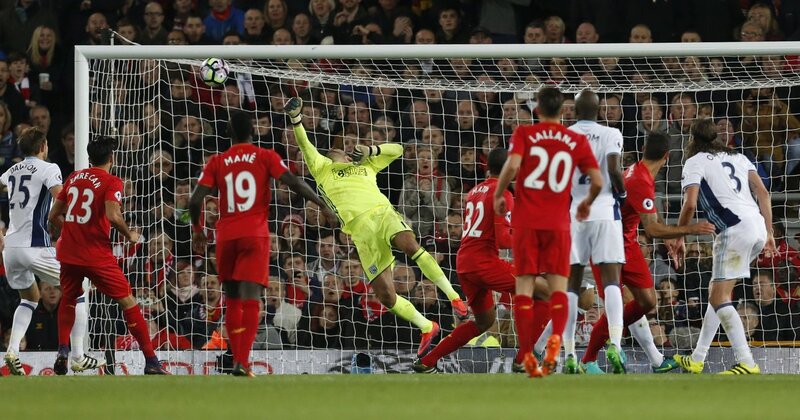 A fantastically engineered move by Jurgen Klopp's men to set the tone for what was to come. With the goal, Liverpool found their rhythm and began to create opportunities at regular intervals, recycling possession efficiently and not allowing the likes of Rondon and Chadli to break. Clyne stormed down the right flank to beat two players, but his cross just missed a connection with Can for what surely would have been 2-0. 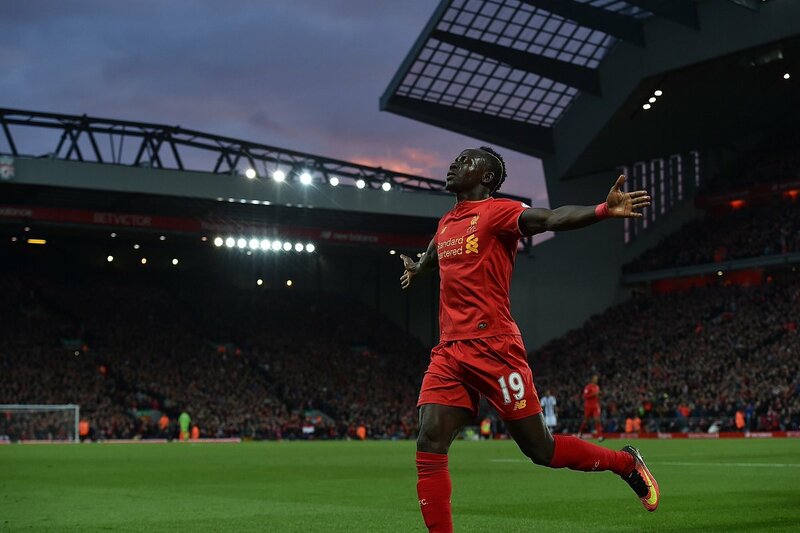 They didn't have to wait too long to double the lead though, as Mane got involved once more. The Senegalese's tricky footwork allowed Coutinho to surge in, selling the defender another dummy before smashing in at the near post. Tony Pulis cut a worried figure as the two sides walked off the pitch for half time, clearly with some work to be done. 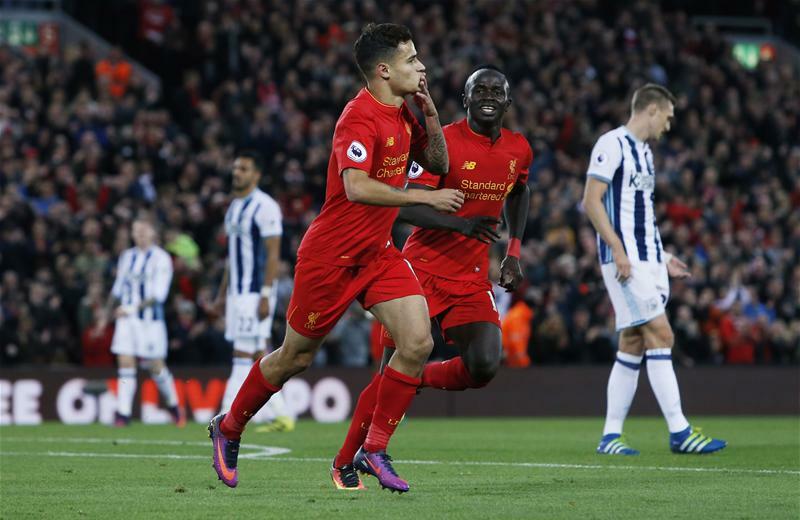 Liverpool continued to look the better side after the break as West Brom struggled for ideas and execution in midfield. Salomon Rondon could only feed off scraps and had a frustrating evening as the likes of Matip and Lovren bullied the away attackers throughout the first hour. Ben Foster's performance was a bright point for West Brom, as he denied Firmino on countless occasions with a string of fine saves. Coutinho found himself with the freedom of Anfield to gallop down the left wing before cutting inside and laying it off for Can to apply the finish, but a heroic block from Olsson kept the scoreline at 2-0. That chance should have put the game to bed, but instead it inspired a late fightback from West Brom. First, Nacer Chadli poked off target from a corner, before James Morrison blasted over from a clear opening after the Baggies recycled possession from Rondon's counter charge. 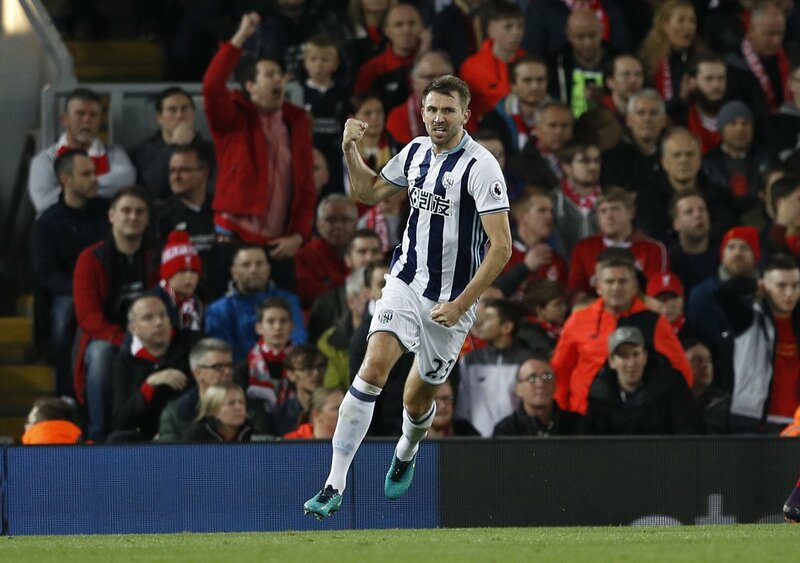 With nine minutes remaining and the clock winding down, Liverpool's set-piece problems came back to haunt them again, as the ball bobbled up for McAuley to strike from close range from a Robson-Kanu's corner. Some nerves were jangled inside Anfield, as the Reds took a more conservative approach to closing out the game, bombing forward on occasion in search of a third goal. The full time whistle blew, and a very important three points collected by Jurgen Klopp's side, who now sit level on points with Arsenal at the top of the table.